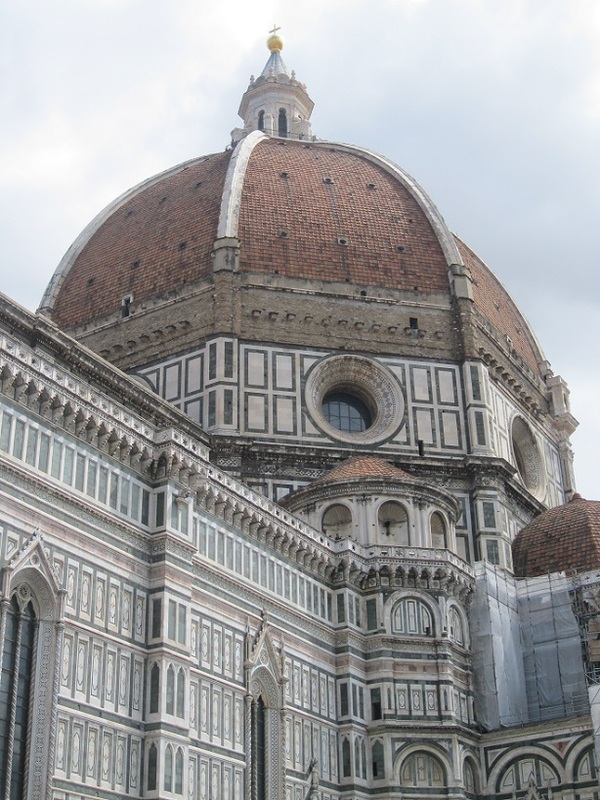 When I was in Florence, Italy I wanted to see the most famous places and sights of the city. As I went from one landmark to another I walked through residential areas. When I looked around I noticed something that I didn’t expect to see. I usually think of shutters as decorative, but here they were both opened and closed and it looked like they were quite versatile. Later that day I saw this building and thought that the pattern of the shutters was eye-catching. These pictures are among my souvenirs of Italy and just as meaningful to me as this photograph I took in Florence. Check here for more about this topic. 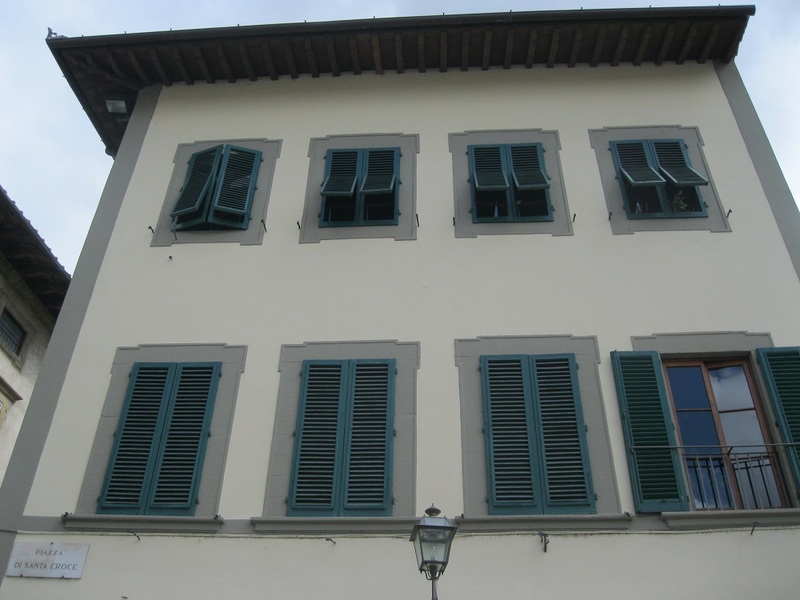 This entry was posted in Florence, Italy, Travel and tagged shutters, Tuscany. Bookmark the permalink. Lovely photographs, as expected! You have a great eye. I do so find shutters enchanting, wish we incorporated them more here in the U.S.A. My 100 year old ranch house had the, but they were removed decades ago. I have seen photos and the addition of shutters adds such charm and character, not to mention shelter. I just love the Duomo. I do too – it’s so beautiful and impressive! Indeed. I love looking at my picture from Italy. The shutters in Italy give so much character to the buildings. Love your Florence photos. Thanks Suzanne – I thought those shutters were really wonderful! What curious and interesting shutters, nicely observed. I thought they were so artistic as well as functional – a good combination! Florence is wonderful and I really wish to go there again. Meg have you ever been in Elba Island? Those are very unusual. You have a good eye, Meg. I do love Florence! Thank you Naomi – I think that Florence is a gorgeous place! Very unusual shutters – I love the everyday details like that. Beautiful photos, as always. PS : The last Florence image is gorgeous ! I love shutters they are so useful: for security reason, to block out light and they look good. I wish they were part of vernacular architecture here. Lovely images. Grand shutters indeed. Of course, I love most of the architecture in Italy. I think I’ll just scroll back through your photos and imagine myself looking out from behind those windows…. I love your shuttered frontages, Meg, esp. the first one – what a colour scheme. Not one I would ever have come up with. Thank you Tish – the shutters were so unique that I wanted to take these pictures as souvenirs! I like these shutters, too. I’m often drawn to windows and would have been mesmerized by these. They were really unique weren’t they Jo? I liked them too! Shutters not only add the the beauty of a building but as so useful to control the heat of the day. It’s a great combination – shutters are attractive as well as practical! I love the shutters too! 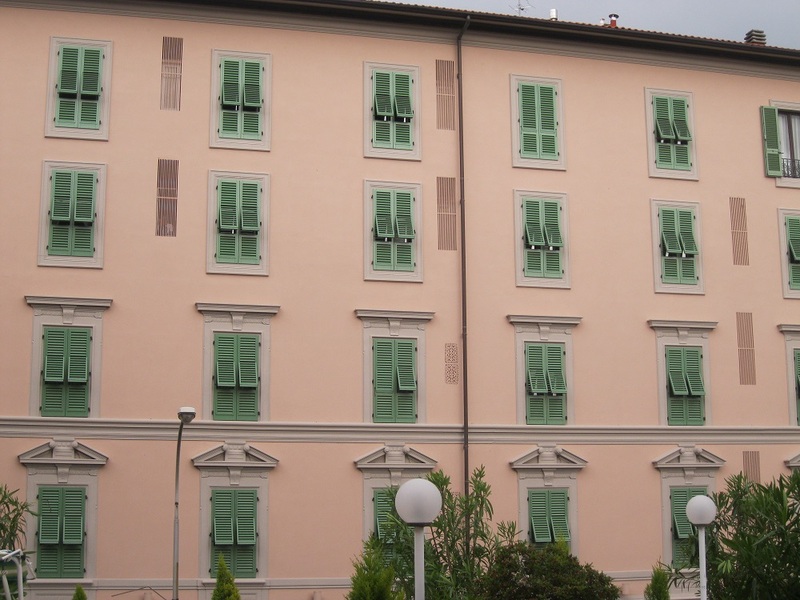 I am in Italy and love my own shutters..they give a lot of personality to a building! Your shutters sound great – it must be so nice to have them! Sigh, I could gaze at your photos of Florence all day, Meg. Florence has a worn feeling in a good way…so soft. Beautiful shots! Thank you – Florence is such a wonderful place!